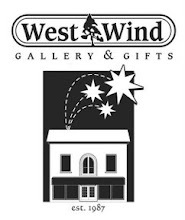 West Wind: Christmas in November Event! Have you signed up for tonight's BBIA Christmas in November event? There's still time, go to Royal LePage at 530 tonight to register and get all of the info you need to make the most out of this fantastic community shopping event! Registration means that you are entered in the draw for awesome prizes! Can't make it into town in time to register? No worries, you can still drop in for some evening shopping and take advantage of our special promos! About 30 downtown businesses are participating in tonight's event, so grab a couple friends and head into town for some fun! From 530-9 tonight we'll have special promotions! See you soon!